Before the Renaissance, medicine in Europe was largely built upon theories, with little research into what actually worked. Knowledge filtering from the Islamic world improved the situation somewhat, but even their contribution hailed back to the incorrect assumptions made by Aristotle and Pliny the Elder. Once a disease has entered the body, all parts which are healthy must fight it: not one alone, but all. Because a disease might mean their common death. Nature knows this; and Nature attacks the disease with whatever help she can muster. Largely due to a shift towards a more scientific approach, aided by the anatomical expertise of Renaissance artists, the situation improved as physicians gradually threw out superstition and alchemy, developing cures and improving surgical procedures. The main change in Renaissance medicine was largely due to the increase in anatomical knowledge, aided by an easing of the legal and cultural restrictions on dissecting cadavers. This allowed doctors to gain a much better understanding of the human body and get rid of techniques that harmed rather than cured, such as blood letting, the process of draining blood from a vein to ‘rebalance’ the humors. Previously, the Church had banned dissection, believing that it subtracted from the dignity of the deceased, who should be buried whole. For example, Galen (September AD 129 - 199/217) never dissected a human, only animals so, while his work was valuable, it was also incorrect and did not take into account the nuances of human anatomy. The other aspect of this knowledge was the transmission of knowledge from the Middle East, where Muslim scholars had made some major advances in the treatment of disease and injury. Some of this knowledge filtered into Europe when scholars fled Muslim lands as the Islamic dominion collapsed, but much was brought back from the Crusades. Here, the advanced techniques used by Islamic doctors to treat injuries and lessen the impact of disease impressed the Crusaders, many of whom brought this knowledge back when they returned to Europe. The church still dominated medicine, but physicians continued to refine their knowledge of anatomy and scrutinized how the human body works, studying the body scientifically and making detailed observations. Andreas Vesalius (December 31, 1514 - October 15, 1564) and Leonardo Da Vinci (April 15, 1452 - May 2, 1519) dissected human bodies and made detailed drawings of everything, from muscle structure to the heart, increasing the knowledge of anatomy exponentially, helping physicians to understand where the organs were in the body and start to speculate upon their function. The church allowed the dissection of criminals and blasphemers although, gruesomely, these criminals were sometimes still alive when dissections occurred and the audience watched and learned. 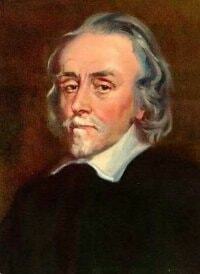 In 1626, William Harvey made a huge breakthrough by studying dying dogs, showing that the heart pumped blood around the body and that the heart had two distinct beating halves. This discovery, that blood circulated around the body, changed medical practice and finally sounded the death knell for the harmful practice of bloodletting by barber-surgeons. It also showed that the body contained specialized systems with different functions, all of which worked together to allow life, a discovery that would help to shape the Enlightenment belief that the body was little more than a machine. Ambroise Paré changed surgical practice when he started to use ligatures to stop bleeding, rather than inflict the shock of cauterization upon patients. Alongside this improved understanding of how the body worked, physicians developed better cures, built upon observation rather than archaic theory. Adding to the herbs and cures often used by the Islamic physicians, explores to the New World and Asia brought back other cures, such as Quinine, from the bark of the Quina tree, a preparation still used in the treatment of malaria and its symptoms. Laudanum, based on opium, started to flood into Europe, as a painkiller. Many medicines still had no effect, or were largely based in superstition, but physicians showed a willingness to think laterally and try new things rather than remain stuck in mediaeval thought. Of course, the exploration of other lands had a distinct downside, the transmission of Old World diseases such as smallpox, which ravaged North and South America, and Bubonic Plague spread from China, causing Europe’s Black Death of the mid 17th century. These diseases spread in populations with no natural immunity, bringing suffering and death in their wake. The Black Death, killing a third of the population of Europe, simply because it was not mentioned in earlier works, encouraged physicians to attempt new cures. They were unsuccessful in this, but a German physician, Philippus Aureolus Theophrastus Bombast von Hohenheim (1493-1541), known as Paracelsus, discovered that drinking mercury was a cure for the deadly diseases, syphilis; although mercury itself is toxic, it was certainly the lesser of the two evils! Paracelsus was one of the prime movers in the shift away from superstition and dogma in medicine, causing Renaissance physicians to rethink how they approached illness. Born in 1493, in Einsiedeln, Switzerland, he initially enrolled at the University of Basle at the age of 16, to study medicine. He soon became disillusioned with the established practices and travelled across Europe, studying and working, eventually becoming an army surgeon in Italy. Here, he gained a reputation as a doctor possessing ‘miracle cures’ and soon returned to Basle, in 1527. Back in the city, he cured a patient of a leg infection, without amputation, the most common practice, and this further enhanced his reputation. Paracelsus was a firm believer that for every disease, ‘God provided a remedy,’ and he began to study inorganic compounds rather than the usual herbs and animal substances, systematically studying their effects and attempting to reduce the toxicity of certain compounds. He also studied silicosis and tuberculosis in miners, one of the first occupational medical studies. 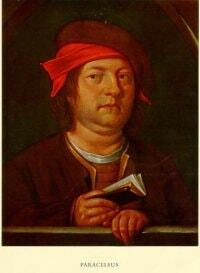 Paracelsus continued to look for outside agents as the cause of diseases, treating each condition on its own merits rather than subscribing to the Galenistic practices of bloodletting, a diversion that met with resistance from the established medical establishment, where he earned a reputation as argumentative and stubborn. Once again forced to move on, he left the University of Basle, in 1528, and resumed his wandering across Europe, as an itinerant physician staying in one place for only a few months before being forced to leave by other scholars, jealous of the superior ability of Paracelsus. He continued to write treatises concerning his discoveries, the Paragranum, in 1530, and Opus paramirum, in 1531, which laid out his overall approach to medicine and surgery. He continued this life, finding companionship with the general pubic, away from the scholars and nobility, and they did not care about whether his practices fitted with established theory, only that they worked. This provided further ammunition for his many enemies in a very class-divided Europe, and he eventually became tired of itinerant wandering, looking to settle down into a permanent position. In 1540, he settled in Salzburg and largely gave up medical research, content to discuss theology and philosophy, eventually dying in 1541, to unknown causes, in a tavern brawl or through overdosing on a compound that he believed was an Elixir of Life. Paracelsus does not enjoy the fame attributed to luminaries such as Newton, Galileo, Vespasius and other great scholars, a sad omission. He was not as ‘scientific’ in his methods as the mathematicians, geologists and physicists, but his willingness to explore new ways of treating diseases, even if it meant standing against the establishment, earns him a place in history as one of the great Renaissance Men who set the foundations of the Enlightenment. Modern medicine can be traced back to Paracelsus, who believed that physicians should try new things on the sick, rather than repeating the same, tired, textbook cures, concentrating upon healing rather than seeking riches. The other main change in European healthcare was the establishment of hospitals, although these were often the preserve of the wealthy. Surgical procedures improved and survival from even simple procedures increased, and the City State of Venice, as early as 1423, made the island of Santa Maria Di Nazaret into a hospital for isolating contagious patients from the rest of the population. By the fifteenth century, Florence had 35 hospitals, a pattern followed elsewhere in Europe, where donations from the public and private donations helped in the establishment of many other hospitals, often sponsored by the Church or by universities, although infection still claimed many lives, especially on the battlefield. "The Exhumation of Tycho Brahe"